The Soundstyle Z2 really is a lot of stand for the money and it's not by any means obvious where corners have been cut. The very efficient packaging opens to reveal four 25mm pillars and two 50mm ones, plus two large base plates (300 x 230mm) and two small top plates (170 x 130mm), plus enough screws to fit it all together and spikes for top and bottom. 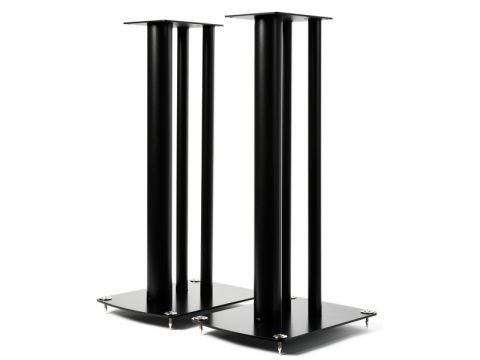 The smaller pillars, which are intended to be at the rear, are undamped, but Soundstyle has taken a novel approach to damping the large one: it is filled with expanded polystyrene. This weighs next to nothing and also doesn't fall out all over the floor, which is all to the good and it does actually damp the pillar reasonably effectively. Not as thoroughly as, for example, Custom Design's inert filler or good old-fashioned sand, but pretty well. Overall, once the stand is assembled and loaded with a typical speaker, it is moderately well damped. We liked the locknuts provided for the bottom spikes, which serve a decorative, as well as practical function (a special spanner is provided to tighten them). While this stand doesn't quite have the solidity we achieved with the Custom Design FS104 Signature, it does offer quite a close approach to that standard. It is more than passably solid in the bass – just a touch vague at times, most notably when deep-toned percussion gets excitable – and its midrange and treble are generally neutral and once again, quite lively. Imaging is stable, but lacks a little depth and precision. Given its price, it is likely to partner less-exalted speakers and it will certainly help most of these achieve clear, detailed and tonally uncoloured sound.